Oh agreed X10000. Poland's agony is a story little told, but often ignored, part of that horrible war. May have been true, once, but I have read books written by and translated into English, by Halder, Manstein, Galland, and Speer. Losers, all, except in the royalties department. But, even for Normandy, the US was providing a good chunk of the materials, and if Captain (later Rear Admiral) Edward Ellsburg USN (see The Far Shore is to be believed, that the US played a major role in just making it happen at all. Like the British could have pulled it off by themselves. Were there any British only major amphibious assaults in WW 2? Well, that's not because the British did it. It's more like the rest of the Pacific war pretty much debilitated the Japanese first. Well, that certainly wasn't British doing. Joint effort of the USSR, US, and British Commonwealth in that order. Not at all. I just want to point out that everything that's "the best" isn't British and that Britain on their own generally hasn't won major wars. Last edited by T. A. Gardner; 13 Feb 18, 14:28. Not that there doesn't already exist a debate on whether or not Paris was truly under threat, but otherwise you're right....it was the French. French Army did not mutinied in 1917. Soldiers did not refused to defend, they refused to attack in costly and fruitless attack. French Iére Armée (Debenay) fought at Amiens. Well why then were 23, 385 men court martialed for mutiny? There are many accounts by French soldiers that describe men refusing to obey any orders from their officers and general disorder and chaos so that the units were as incapable of defence as offence. Private Louis Barthas of the 296th infantry gives a good account as do others. The BEF had to take over French sectors of the Front. Whilst both French and Americans were involved at Amiens it was overwhelmingly a British Imperial show. Bit tough on the Poles, who fought from start to finish. Oh yes, I was generalizing. But Poland itself, was invaded and surrendered (the nation ,not individuals) in 1939. Britain (and the Commonwealth) were the first to defy Hitler and not submit. Can we all put our collective penises back in our pants and stop having a measuring contest? World War II was a team effort and the Allied team was far better than the Axis team. But back to the OP. 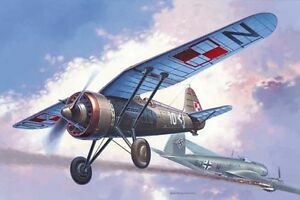 I think I mentioned this before but that the Polish air force and AA units did not submit easily and did do a number on the Luftwaffe. One fiction book does not a summer make. That isn't history. That is a bunch of murderers (Galland excepted, I suppose, but then again I haven't read his book) justifying how they were such cool dudes, and only the interference of Hitler and his bum boys stopped them from doing really cool stuff (in the right way, of course). That isn't history. History is when the true story is told. I don't think that (at least in the west) Poland ever has had the chance to hear that story. It's only those that scratch a little deeper than BoB or D-Day that know even part of the true story. Look take one of these mouth breathers that watch the History Channel every chance they get. Tell them that Poland suffered 1/5th loss of it's population in WW2. I bet they call you a liar. And if they do believe you (1...2...3...4... you're dead. 1...2...3...4... you're dead etc) they will ask you why they were never told that. And the simple reason is that it all happened behind the lines while 'our' boys fought at the front, and made sexier and more locally relevant newsreels. And after it all, well, Poland is a Soviet satellite so propaganda demands we deflate those tyres, not pump them up. And so, like China, the suffering of Poland is a story that has never been, and may never will, be fully told or understood by those don't deliberately seek it out and study it. That is a bunch of murderers (Galland excepted, I suppose, but then again I haven't read his book) justifying how they were such cool dudes, and only the interference of Hitler and his bum boys stopped them from doing really cool stuff (in the right way, of course). I've read galland's book and listened to the bloke speak... he was a wanker. I had the hnour to meet Adolf Galland, Robert Stanford-Tuck and George Gay at the same time and place and get their autographs. I just wish I knew where they are now. Anyways at that time and place Galland did not come off as a wanker. But i admit I have not read his book either. But the one, of a small handful, of books about/by German fighting men I diidn't think was over-stated/self serving was The Blond Knight of Germany. That being said I've not seen what modern research has turned up on Erich Hartmann. Siegfred Knappe's Soldat is another. Now some I read are absolute rubbish: Rudel, Sajer etc. etc. I'd just treat them as comic books to be read for fun; not facts. But that is all I'm going to say for now. Aren't you glad? Have you read Lubbecks 'At Leningrads Gates' ? Mine is not worth taking out in the first place nowadays RS!! I'm sorry. I've not read that particular book. I might look into it though. Well, it could still be measured, but at least we're not talking about negative numbers. All times are GMT-5. This page was generated at 19:30.